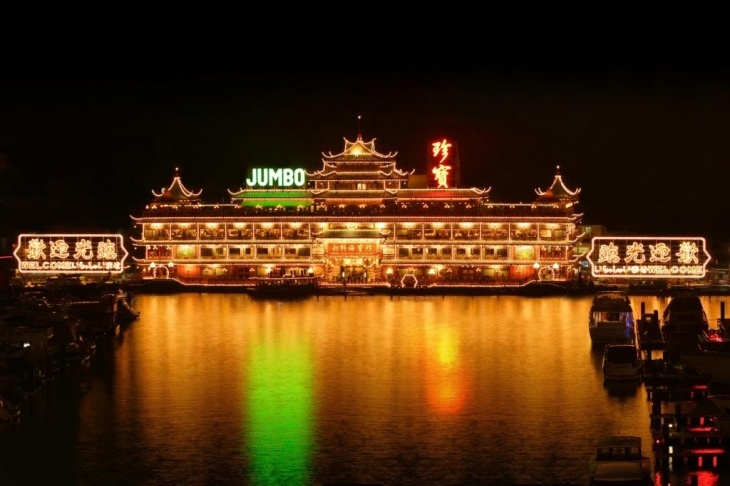 Enjoy a lunch or dinner set menu at Jumbo Kingdom Floating Restaurant, a Hong Kong landmark for over 40 years. This venerable restaurant has been visited by celebrities from all over the world and has been used as the setting for many Hong Kong movies! The giant complex sits on floating barges in Aberdeen Harbour and can be easily reached by the free shuttle ferries from Sham Wan pier or Aberdeen Promenade. Pick from a choice of three set menus in advance, featuring fresh Hong Kong style seafood, dim sum, and famous Cantonese style Chinese food. You will have to make table reservations in advance before visiting the restaurant for your meal and don't forget to quote your voucher number! Don't miss out on this unique dining experience at a must-see Hong Kong landmark!